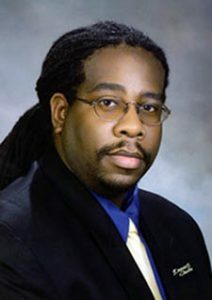 EXPERTISE: Charles Bethea’s area of expertise includes but is not limited to the following Chicago topics: African American history and culture including the Great Migration; the Civil Rights Movement; Civil War; military history; and the Black Arts Movement. EXPERIENCE: Chicago History Museum, Director of Curatorial Affairs, 2018–present; Reginald F. Lewis Museum of Maryland African American History and Culture, Director of Collections and Exhibitions, 2015-2018; DuSable Museum of African American History, Curator and COO, 2006-2015; Black History Museum and Cultural Center of Virginia, Executive Director, 1999-2006; Hampton University Museum, Director of Educational and Public Programs, 1994-1997. EDUCATION: Getty Museum Leadership Institute, Claremont University, 2012; M.A., Museum Studies, Hampton University, 1995; B.S., Studio Art/Art History, emphasis in 19th-20th century African American Art, Cheyney University of Pennsylvania, 1993. Charles Bethea is responsible for overseeing all curatorial activities, provides an overall curatorial vision and direction, and prioritizes all work in the department. In addition, Bethea provides direction for the Museum’s collecting agenda including new acquisitions and deaccessions and the development of new exhibitions.